Passion, drive, and knowledge – three words couldn’t ring more true to describe the values instilled in our sales team at General Plastics. Since the company’s inception in 1941, our team of experienced account managers has been consistently providing customers with creative solutions. How is our team’s success measured, you might ask? It’s simple. “We are on a mission to solve our customers’ problems, especially the hard ones that they don’t have [an] answer for. Success for us means finding a solution, no matter how big or small,” explains Brian Sweeney, Sales Director at General Plastics. As our main goal is to bring unprecedented value to each customer we do business with, we are always looking for customer solutions in our process. “If we can do it, we tell customers straight up that this is what we can do [and] how we can do it,” said Sweeney. “If we can’t, we are honest in telling them that we aren’t the appropriate company for their application.” Years of experience have taught us that this upfront conversation helps set both parties up for success. The company proudly serves over 10 unique segments and applications, with employees taking a team-approach philosophy throughout. The salesperson acts as the window into each individual account, but as Sweeney describes, “we can’t function without understanding what our production guys will contribute, and what our technical, research, and lab guys will contribute. So it’s a very collaborative approach.” The sales team is uniquely set up to manage oversight across the whole company, and clearly and concisely convey details back to the customer to drive projects forward. 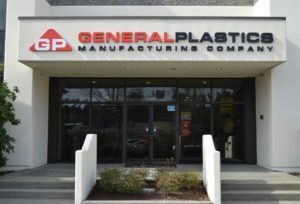 At General Plastics, our team consists of individuals who are highly experienced in their fields with backgrounds in gas and oil and chemistry to international and composite industries. Lider says the sales team has great resources around them, including four PhD chemists they can lean on for technical information. Our sales team acts as partners in success with our customers, providing solutions and long lasting relationships. Get in touch with our sales team today to learn how General Plastics can support your next project. Call us at 866-825-1378.